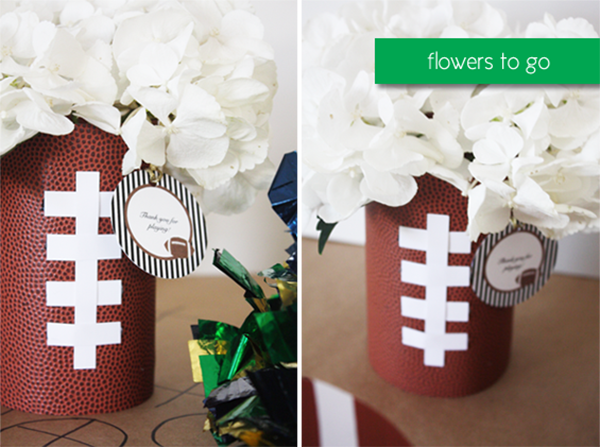 We have some more football ideas for your for the big game and this time it is football centerpieces! 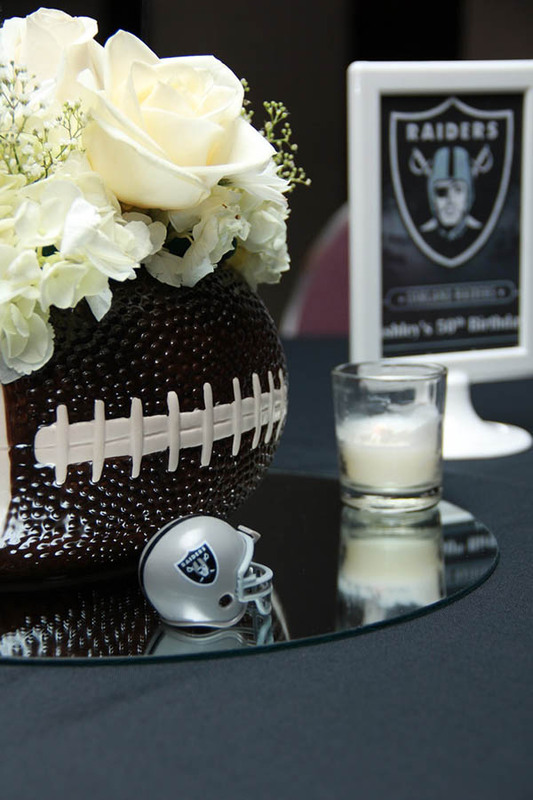 If you have been following us for awhile you would know that centerpieces are one of our favorite things and a detail that can be incorporated into any life celebration. 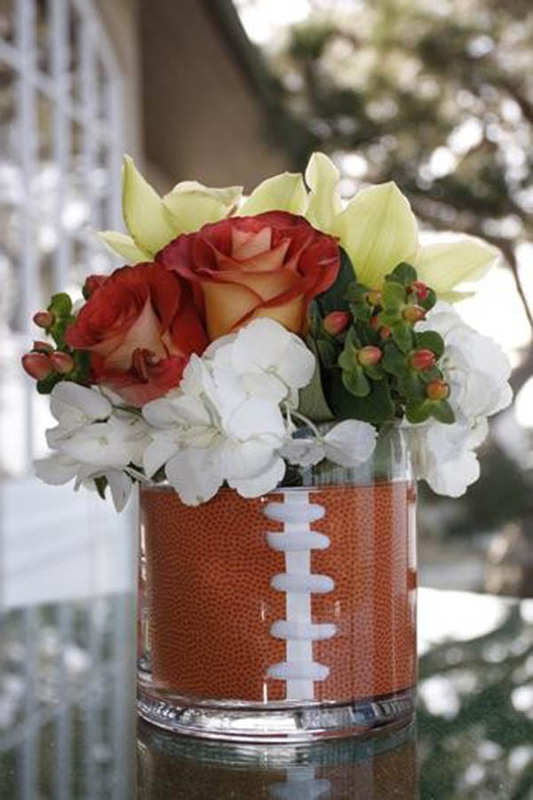 Centerpieces can be as easy or elaborate as you want and that is definitely football centerpieces! 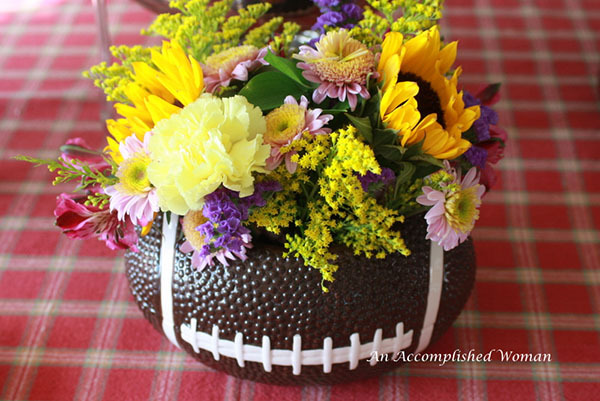 Incorporating a chic detail like a centerpiece into a football party can really soften the manly vibe that most football parties have which is one thing we love about them. It is just a super easy detail that you can add to make the party a little more lovely and chic. When we say super easy we mean just that! 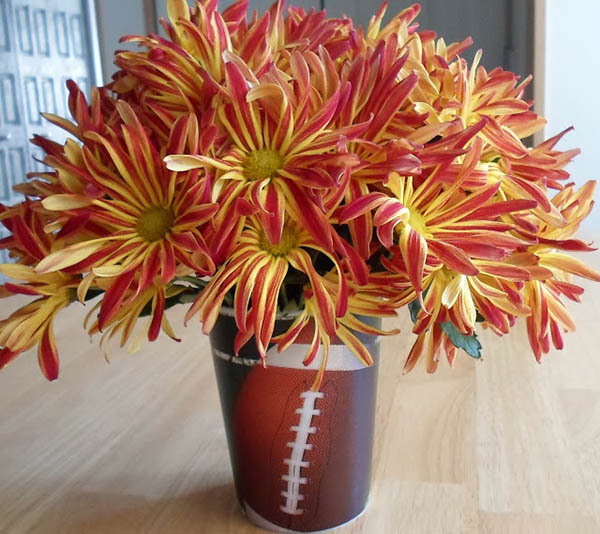 You can have your very own football centerpiece in minutes with an empty can, some football scrapbook paper or free printable or some cut flowers. 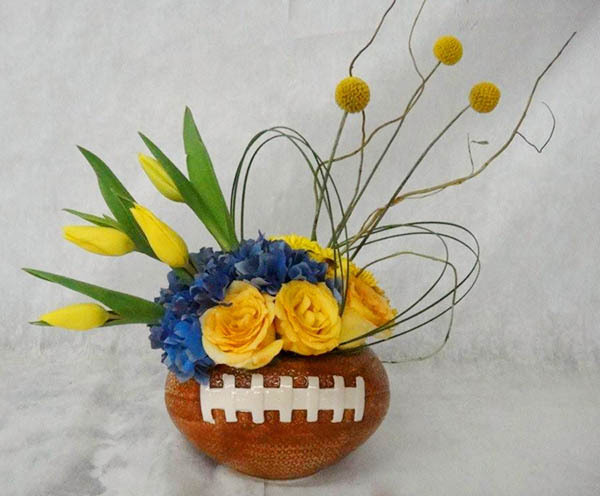 Put them all together and boom, touchdown football centerpiece project. 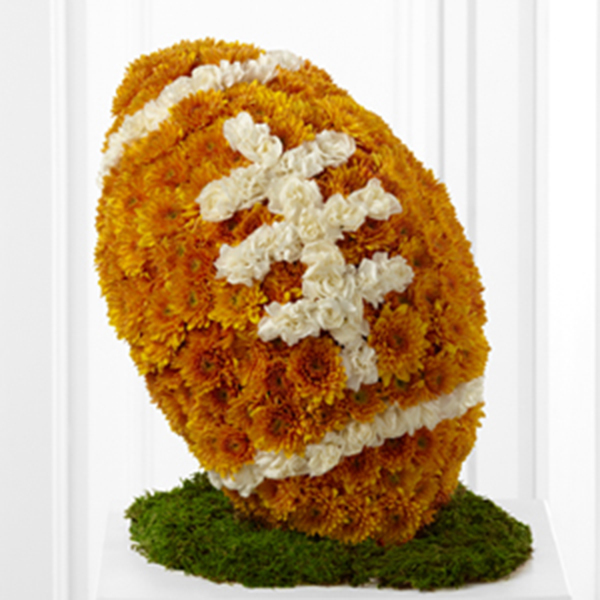 They can even be as easy as buying a pre-made football case and putting some flowers inside of them. 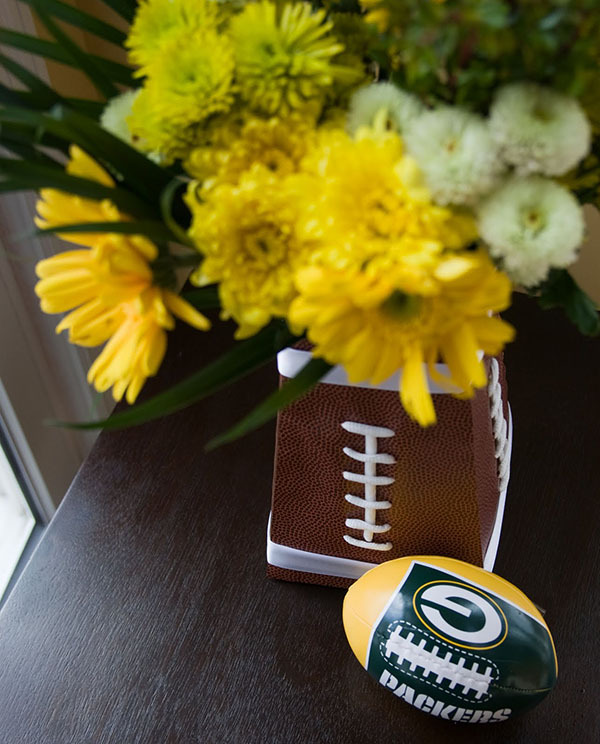 Whatever you choose there are some lovely options out there and we have rounded up a few ideas and inspirations that you can definitely use at your football party this year! Soccer Ball Centerpieces! 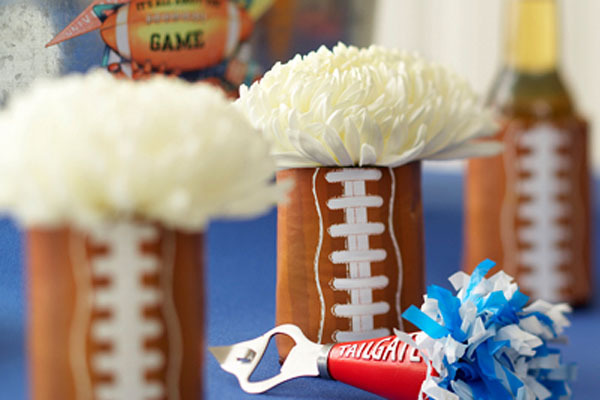 Candy Corn Centerpieces Football Mason Jars For Game Day! Our Super Bowl Football Party! Hi Emily, hope all is well! I love the last picture!!!! Doing a football party looks like so much fun, mainly for the one doing it cuz the guys may not appreciate all that stuff so well 🙂 nevertheless it looks good! But the last one how the flowers look together….perfection!